Begins with a review of the concepts presented in Level 2, then introduces new pieces and lessons in new keys to prepare the student for more advanced studies. Includes a "Just for Fun" section and an "Ambitious" section. 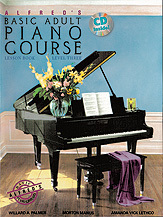 The CD contains a piano performance for each of the 39 songs included in the book.